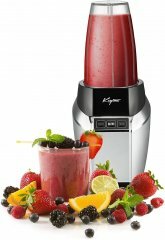 Making a smoothie for yourself used to be a tedious affair, with big jars that are difficult to clean and a little heavy to carry. 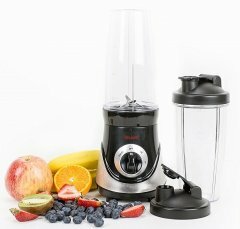 This is no longer the case with the advent of personal smoothie makers, which were designed for people who are always on-the-go. 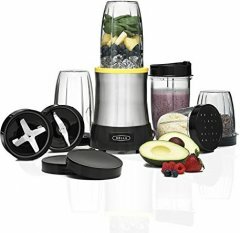 The personal blender lets you make your favorite smoothie quickly and in a manageable size. 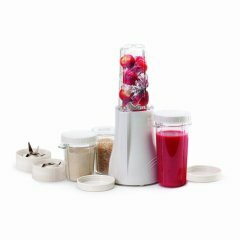 Most models blend inside the same cup you use to drink and come with drinking lids, allowing you to enjoy your smoothie with very little mess and hardly any cleanup afterwards. 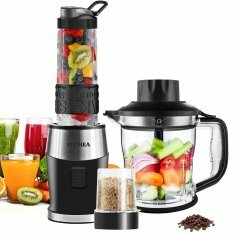 This list features the newest personal smoothie makers with cups that range from around 6 ounces to somewhere over 20 ounces. 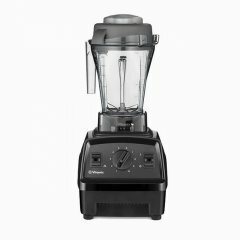 Some just blend while others can also grind and the cheapest ones cost roughly under $20 while the most expensive (and most powerful) ones can reach up to $130 dollars or even more. 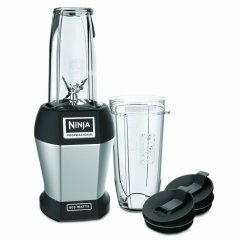 The items in this list all use blend-in drinking cups, which are part of the appeal of personal mini blenders, and are designed specifically for quick smoothies, since they are not as powerful as their bigger counterparts. 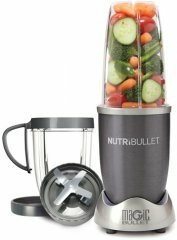 Based on its aggregated rank of 87%, we determined that the Nutribullet Rx is currently Alphachooser's best smoothie blender 2019. 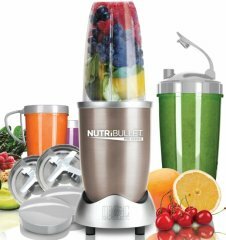 We also believe that our 7379 reviews sampled from our sources give us a high confidence level (more on confidence levels) that justifies to call it a "no-brainer best choice." 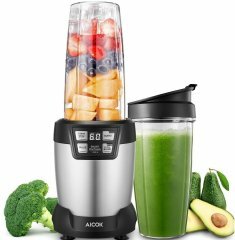 Based on star rating of 4.5 averaged over 229 reviews, we rank this Aicok model second best smoothie blender. 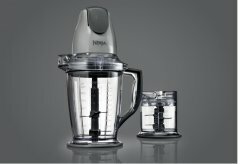 * By the way, our list is based on an in-depth computation of hundreds of smoothie blender reviews from multiple sources. 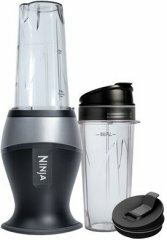 A personal blender that seems designed for variety with its five BPA-free tumblers and two interchangeable blades, one designed for grinding and another blade for emulsifying. 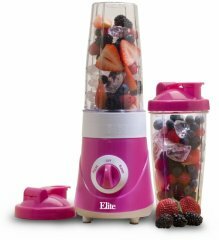 Aptly named, the Bella Rocket is a rocket-shaped personal blender that comes with 13.5-ounce and 6-ounce travel-cup jars that may be used for both blending and grinding. 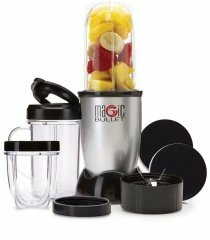 A basic, compact 175-ounce personal smoothie maker that comes with a 14-ounce BPA-free jar that can be used as a travel cup. 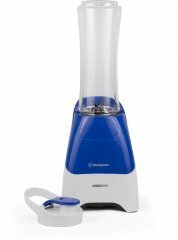 A small and lightweight personal blender that comes with two 28-ounce BPA-free cups with spill-proof lids for travelling. 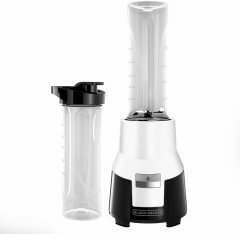 A portable 64-ounce margarita and slush blender with a grind-and-shave mechanism and a frontal spout. 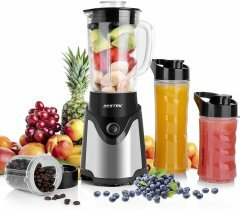 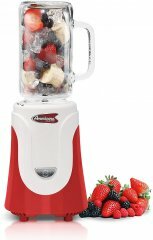 A blender outfitted with a dispensing valve and equipped with a patented blending system to increase blending by pulling your mixture back to the blades. 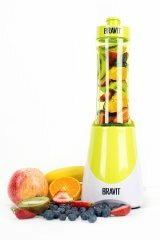 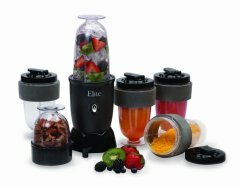 Small smoothie-maker/blender that has one feature (pulse) and comes with four cups with spill proof lids and foam grips. 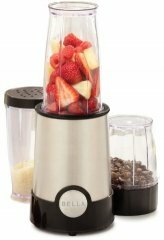 Small blender with two stainless-steel blades designed for blending and chopping and three BPA-free vessels (blender jar, chopping cup, travel cups).